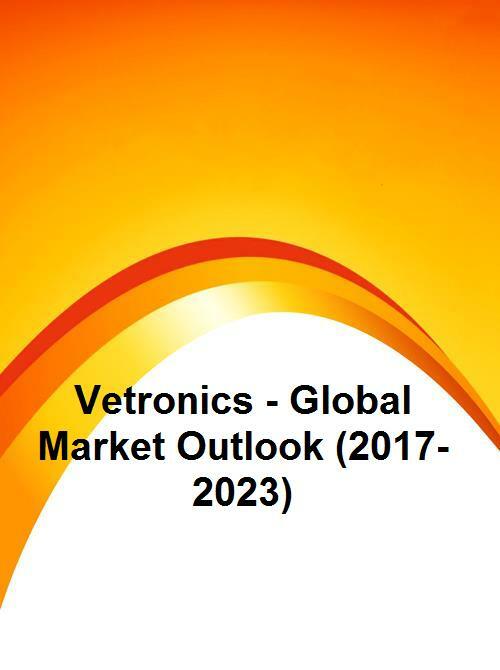 The Global Vetronics market is estimated at $3,105.23 million in 2016 and is expected to reach $4701.56 million by 2023 growing at a CAGR of 6.1% from 2016 to 2023. Easy availability of costo effective components, emergence of wireless communication technology and availability of new energy solutions are some key factors fueling the market. However, factors such as defense budget cuts and high power consumptions are some factors hindering the market growth. Amongst Application, defense segment is anticipated to acquire the largest share of the market during the forecast period. Increasing defense spending especially in emerging economies like India and China is the key factor responsible for the growth of this segment. Asia Pacific region is likely to grow at the highest CAGR during the forecast period. This can be due to the increasing defense spending of leading countries, such as China, India, Japan, and Australia, among others. In addition, need for technologically advanced vetronics a system is als-a key factor impelling the growth of the market in this region. Some of the key players in the market include Ultra Electronics Ltd., Thales Group, TE Connectivity, Saab Group, Rheinmetall AG, Raytheon Company, Oshkosh Corporation, Moog, Inc., Lockheed Martin Corporation, Leonardo-Finmeccanica S.P.A, Harris Corporation, General Dynamics Corporation, Elbit Systems Ltd., Curtiss-Wright Corporation and BAE Systems PLC.